The state of Ohio recognizes fathers' rights which at times may be overlooked by mothers and other custodians. It is important for unmarried fathers to know their rights concerning their children. In order to ensure that these rights are upheld, an unmarried married father may have to go through legal proceedings. Unmarried fathers in Ohio must have a court grant them legal rights to their children. 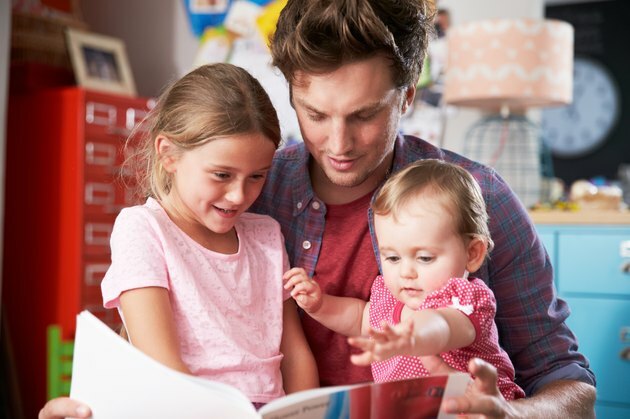 In Ohio, unmarried fathers have no rights to their children until a court order has been set in place, according to The Law Offices of Virginia C. Cornwell. A court order is needed even after establishing paternity by signing the Acknowledgment of Paternity form or getting a DNA test. Establishing paternity will give the child the rights for medical and child support--it will not guarantee the unwed father visitation or custody. A court order is needed for these in order for visitation and custody agreements to be upheld. Once the court has granted visitation and custody, if the mother withholds the child from visitation, she can be held in contempt of court for disobeying court orders. An unmarried father can be granted visitation rights from the courts. At times, some parents will not be granted visitation or may have restricted visitation due to abuse or neglect, according to Ohio Legal Services. In restricted visitation, the parenting time will be supervised, the parent may have to take parenting classes, the children may not leave the state with the parent and the parent cannot consume any alcohol during visitation periods. If an unmarried father has not been placed on the birth certificate, he has a right to apply to the Ohio Putative Father Registry. This registry will allow presumed fathers to be contacted if the child is ever placed for adoption. The unmarried father must be placed on the registry no later than 30 days after the birth of the child, according to the Ohio Department of Job and Family Services. This registry is eligible for any children born after July 1, 1997. What Rights Does a Father of an Unborn Child Have?